Oh, that way madness lies. 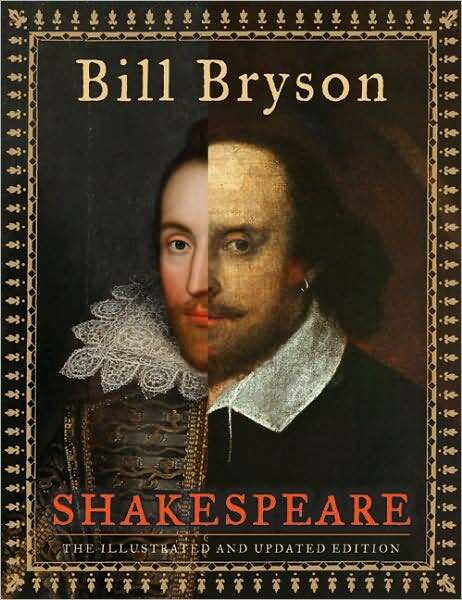 An endeavor as of late for me has been to read through Bill Bryson’s book on Shakespeare for alas, I and a gaggle of students will be visiting Will’s old haunts this May. What struck me that Bryson talks about is that Shakespeare added a number of words to the English language (frugal, critical, horrid, vast, excellent, eventful, lonely, zany…), but more than any other individual created a whole series of familiar phrases that we still use today; including: a fools paradise, a sorry sight, all that glitters is not gold, as dead as a doornail, dash to pieces, fair play, for ever and a day, good riddance, hot-blooded, I will wear my heart on my sleeve, in a pickle, in stitches, like the Dickens, love is blind, milk of human kindness, salad days, night owl, primrose path, rhyme or reason, send him packing, and star crossed lovers, to name a few! This entry was posted in Interesting.... and tagged famous quotes, quotes, William Shakespeare. Bookmark the permalink.